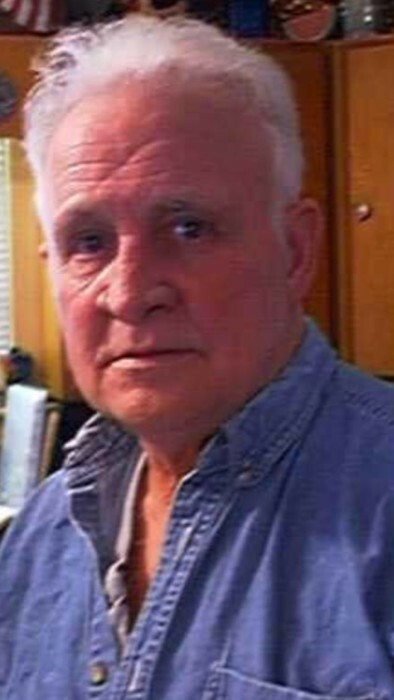 Clyde William "Bill" Kidder Jr.
A loving husband, father, grandfather and friend, Clyde William “Bill” Kidder Jr. 75, of Salineville, passed away September 13, 2018, at home following a lengthy illness, surrounded by his family and friends. Born, November 6, 1942, in Rochester, PA., a son of the late Clyde William Kidder Sr. and Mary Adams Kidder. Clyde was also preceded in death by his son, Gregory Kidder; brother, Clifford Kidder and step-son Mark Cencarik. He was a graduate of Beaver Local High School. Clyde was a proud veteran of the United States Airforce. He served for six years during the Vietnam war. He retired from Banner Fiberboard in 2000, where he worked as an electrician. Clyde is survived at home by his loving wife Mary Beth E. Kidder; children, Karen Tiley and her fiancée James Schafer of Salineville, Melissa Lewis and her husband Terry of Minerva, OH, Carleigh and Clyde William Kidder II of Salineville; step-children, Megan McKee of Salineville; John and Jeff Cencarik of Weirton, WV. ; siblings, Joan Shipe and her husband Veral of Salineville, Richard Kidder and his wife Carolyn of Havelock, NC., James Kidder of East Liverpool and Sheryl L. Monigold of Salineville, OH. ; several nieces and nephews. He will be sadly missed by his grandchildren, Jill Sink, Erin Kidder, Greg Kidder, Dustin Kidder, Mark Cross, Jacob Cross and Zachary Quarterman and great-grandchildren, Dayten Decker, Athena Daughtery, and Hunter Snode. A memorial gathering will be held Sunday, September 23, 2018, at the Salineville Fire Hall, 34 Washington St. Salineville, OH. 43945, from 2:00 Pm-6: 00 PM. For more information please call Sherly 330-303-6998. Covered dishes are welcome. In Lieu of flowers donations may be made to the family to help defray the funeral expenses. The Arner Funeral Chapel is in charge of handling these arrangements.